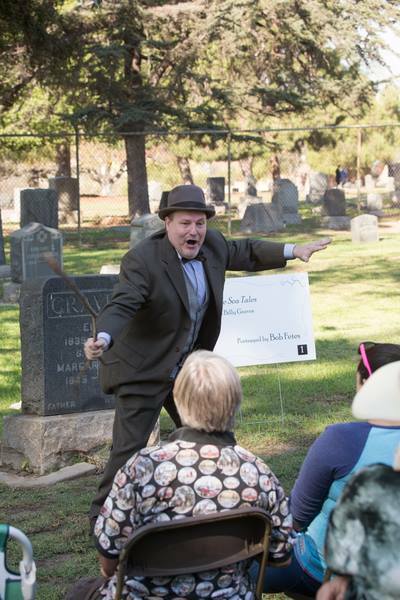 "Where every plot has a story... and the Dead do tell Tales...."
The Historical Society of Long Beach presented its 19th annual Historical Cemetery Tour on Saturday, October 25. 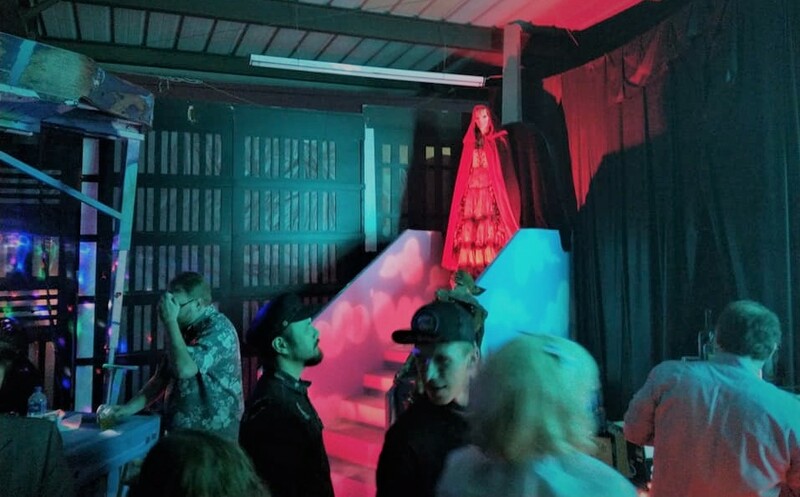 Though not billed as a Halloween event, the living-history style tour features actors portraying the souls of the dead, resurrected to relate their tales to the living. 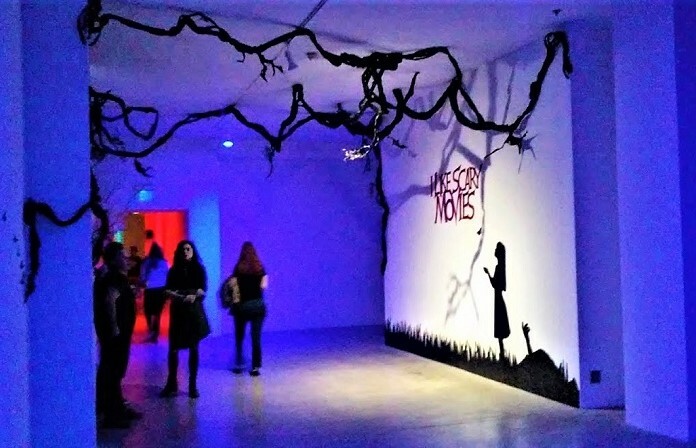 The setting is appropriate for the season; however, the emphasis is on history rather than horror, and the daylight hours ensure that there are no scares, even for the timid. The result is closer to the Strathearn Park Ghost Tour (reviewed here) than to the Voices of Pioneer Cemetery Tour (reviewed here), and cemetery-seekers will find the journey fascinating rather than frightening. The event runs from 9 in the morning to approximately 3 in the afternoon, with tours departing at regular intervals until noon. Several burial sites host performances that run at twenty-minute intervals; each guide takes his or her group to a different set of four graves, after which visitors may seek out other performances that interest them. Visitors are not absolutely required to stick with a tour - they can explore on their own if they prefer - but dividing the audience up like this helps distribute crowds evenly throughout the cemetery, so that there is adequate seating at each location. 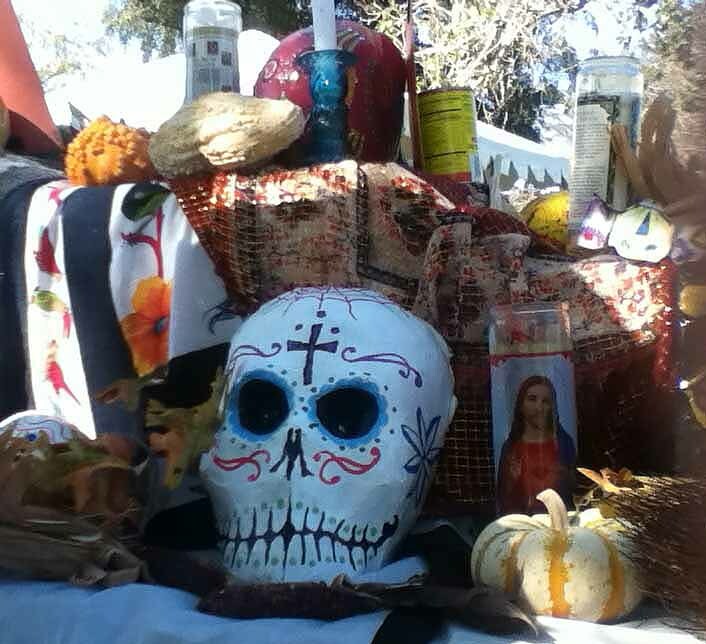 The 19th annual Historical Cemetery Tour featured nine performances, a small exhibition of historical news clippings, and a table of Dia De Los Muertos decorations. Arriving just before noon, Hollywood Gothique managed to see six tales, which ranged from humorous to poignant. Far from a dry history lesson, the writing provided succinct, entertaining stories of lives, loves, and sacrifices, performed by a cast with an admirable level of professionalism. Attending a non-profit, fund-raising event, we were expecting amateurs or drama students; instead, we saw talented actors. In Strange Sea Tales, Captain Billy Graves (Bob Fetes) related many of the stories he used to regale customers on his fishing boat. (Knowing there were other boats that fishermen could hire, Graves figured a few tall tales would keep his passengers entertained and give him an edge over the competition.) With the suggestion of strange creatures and glowing sea monsters, this monologue came closest to being a Halloween tale, though Fetes kept the tone light and amusing - befitting an old salt telling fish stories. A Time of Pride Not Pity depicted Donald Erickson, a marine who died in World War I; actor Steven Dean Lauria braved oppressively hot sunshine to deliver a performance that opened tear ducts in the audience. Linda Midget portrayed Irene Workman in Modern Creamery, Old Fashioned Revival Hour. Rae Andrade embodied Ramona Linares in Fighting Injustice ... with Tacos, the tale of a restaurant owner who almost ran afoul of white businessmen who did not want a Mexican restaurant in their upscale neighborhood; this was the most interesting piece of history we heard - touching and very well acted. On a lighter note, we saw two husband-and-wife dialogues that emphasized humor, even when detailing tragic events. A Sunday Drive portrayed the death of the Huffman family, whose new-fangled automobile stalled on some train tracks. Mrs. Huffman's (Terra Taylor) afterlife annoyance with her husband (Dennis Kortheuer), still trying to rationalize his fatal driving error, was good for laughs. From Orphan to Oil Wells followed the more fortunate lives of Louis and Elisa Denni, who struck it rich when oil was discovered on their Long Beach property. The nice touch here was that husband Louis (David Narloch) wrote down almost comically terse notes about major life events ("Father died"), which his wife (Vanessa Rose Parker) would expand for us, digging into the emotional element that the stoic Louis seemed eager to avoid. In between performances, our guide provided a wealth of historical information while leading us from tombstone to tombstone. Most important, he answered our question: Why are there two cemeteries, with different names, directly adjacent to each other? It turns out that there was originally only one, the Long Beach Municipal Cemetery; when the city of Long Beach wanted to divest itself of the graveyard, most of the land was sold off to a private owner and renamed Sunnyside Cemetery. 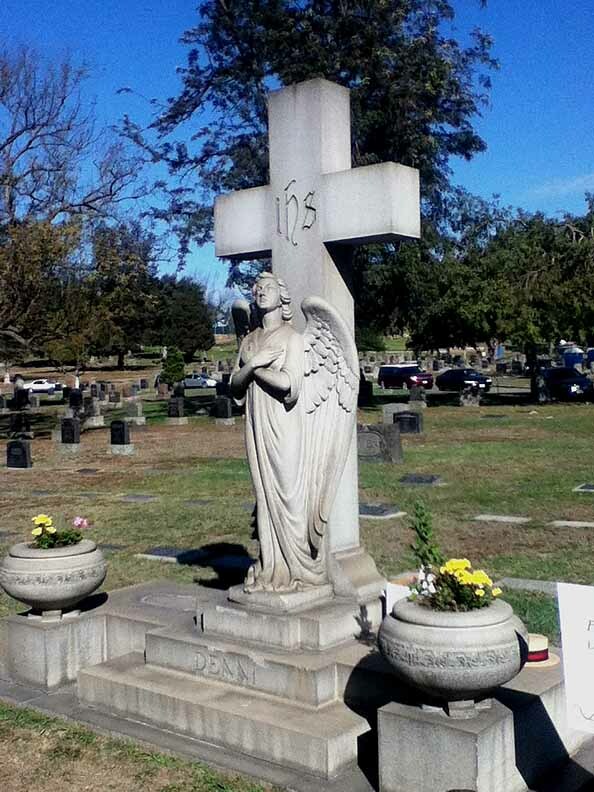 We enjoyed the Long Beach Historical Cemetery Tour even more than the Art Deco Society's Hollywood Forever Cemetery Walking Tour (reviewed here). Hollywood Forever Cemetery has more impressive grounds and architecture, not to mention the lure of cinema celebrities, but as much as we appreciate the intricate stylings of a a well-carved tombstone, we prefer seeing the past brought back to life by some amazing actors. The Historical Cemetery Tour takes place every October on the last Saturday of October. Different plays are performed each year as new historical information is uncovered regarding the lives of those interred in the graveyards. The Historical Society of Long Beach promises something special for their 20th anniversary next Halloween; we are confident that it will be worth seeing. Wear comfortable shoes; the terrain is uneven. Bring a hat or a parasol to ward off the sun. Near the entrance there are tables selling, souvenirs, snacks, and beverages, but you may want to bring your own water in case you find yourself thirsty while on the far side of the cemetery. Toilet facilities are limited to porta-potties. Parking is limited, so you may end up on the street if you do not arrive early. Long Beach Municipal Cemetery & Sunnyside Cemetery are located at 1095 E. Willow Avenue, Long Beach. Tickets are sold online in advance and on-site starting at 8:30am. Click here for the official website of the Historical Society of Long Beach.